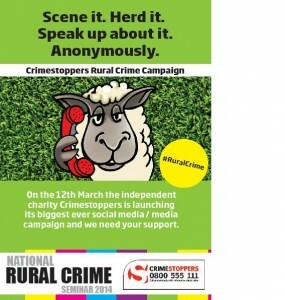 “A social media campaign is being launched by Crimestoppers to fight rural crime. The “Scene it. Herd it. Speak up about it. Anonymously” message will be spread across social media using Facebook, Twitter and alert systems. Crimestoppers is also hosting a blog to give regular updates about the campaign.